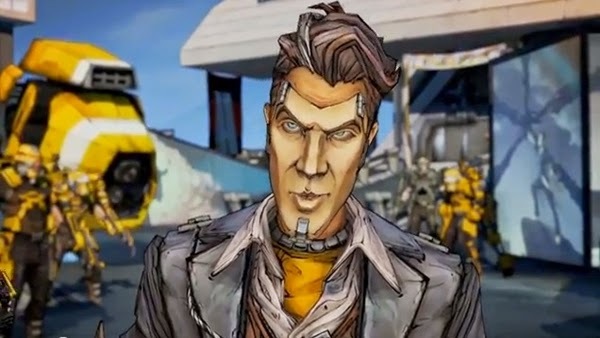 Dr Jengo's World: Borderlands 2 Prequel in the Works? Some good news for Borderlands fans, that's me! Looks like a Borderlands 2 prequel being developed by Gearbox, together with 2k Australia. The game will be set some time, between the 2 games. The game will also feature Handsome Jack in his younger days as a programmer.. There will be 4 classes (possibly more in DLC) to choose from; "Athena The Gladiator, Wilhelm The Enforcer, Nisha The Lawbringer and Fragtrap, a militarised claptrap.." Ok, I'll choose Fragtrap! Surprisingly, the game will only be released for the PS3, XBox 360 and PC. What did I tell you guys? I did say that it would be best to keep your current-gen consoles until it's totally phased out, didn't I? Anyway.. Somehow, I have my doubts about this.. A prequel? 2k Australia working on it and not Gearbox solely? Only for current-gen consoles? I get the feeling that it could be just a make-shift game to appetise fans until the real Borderlands 3 comes out for next-gen consoles. Still, I'm excited about this and from comments around the web, we might get more info at PAX East (This weekend). Also hope to get going with Borderlands 2 in June with the few guys who have messaged me. Let's do it guys!